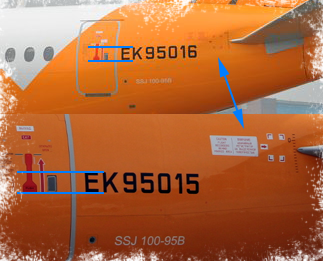 EK-95015 had bigger registration letters and a white background behind the markings. 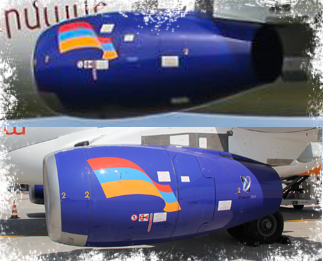 There was no PowerJet logo on the engine from EK-95016. 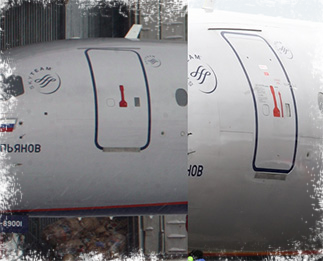 RA-89001 had a wrong door outline. 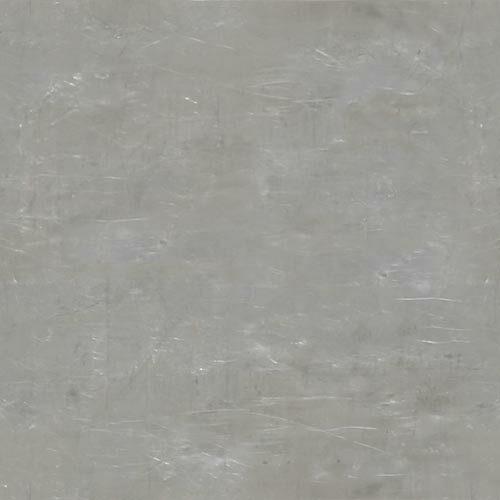 The line was painted around the door. Actually, the line is placed on the door. 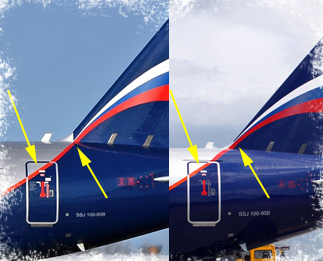 RA-89001 (right picture) had another red line than all other Aeroflot Superjets. Also the position from the flag was different. 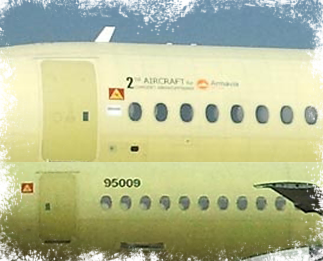 MSN95009 should be the second plane for Armavia but never delivered. 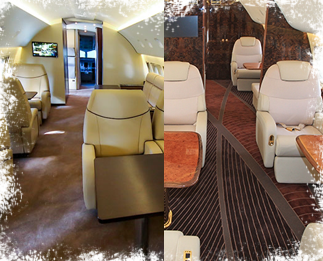 It's now RA-89053 For the Jetexpo 2014, 97007 got a new and more comfortable interior.